This is a beach house with everything but the beach, and it's right on Duval Street. A splendidly renovated transient licensed home offering great income and expert management, home built in a time when people lived on Duval, it alternates bare, Dade County pine walls with freshly painted ones. A large, open-format kitchen and living room comprise the primary living space, mixing industrial-farmhouse decor with a subdued palette of rich wood tones and driftwood--as if the salt air kissed a few surfaces on its way through. Original photographs by neighboring artist, Alan Maltz, add the dose of drama and color expected in a Key West environment. The living room connects, by way of floor-to-ceiling glass doors, to the pool deck and an adjacent but separate two-bedroom cottage that can berented independently or in conjunction with the main house. 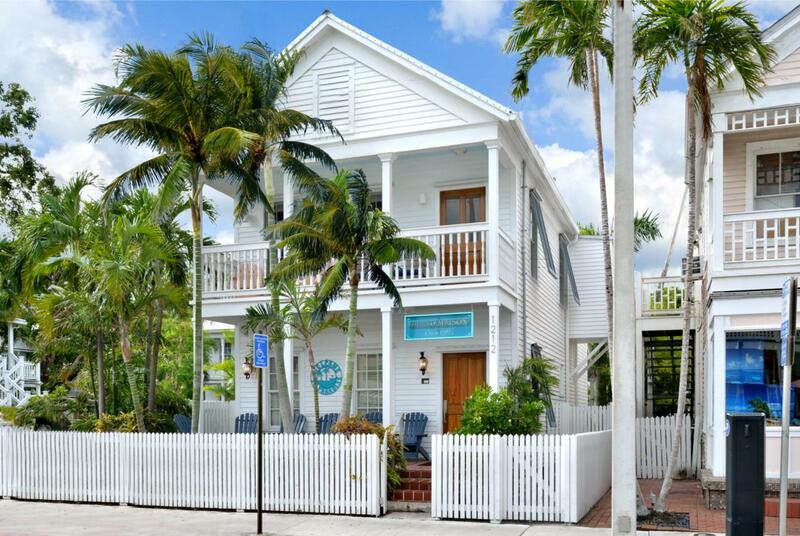 In the main house a single bedroom downstairs and all three upstairs boast private bathrooms, with the added feature of a private balcony off the master suite bathroom, perched over Key West's most iconic and exciting street. Besides the entirely coastal tone to this house (which is just two blocks from the Southernmost Beach), it offers a central location that also feels private. The front door opens to all the restaurants, festivities, dining, and people-watching of Duval, while the back door leads to utter privacy, pool-side, allowing guests to tread between worlds in a matter of steps.